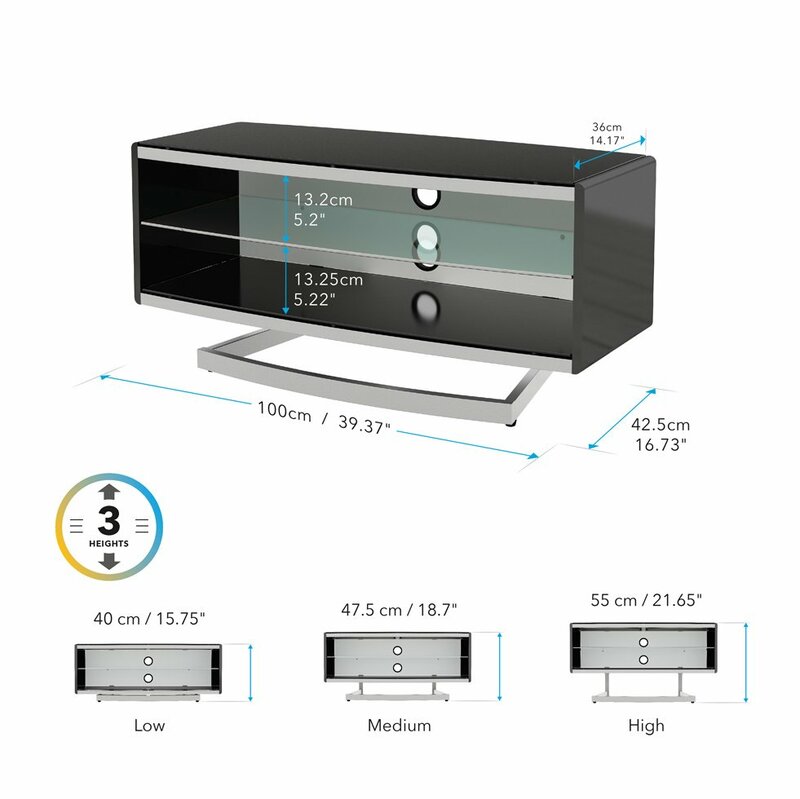 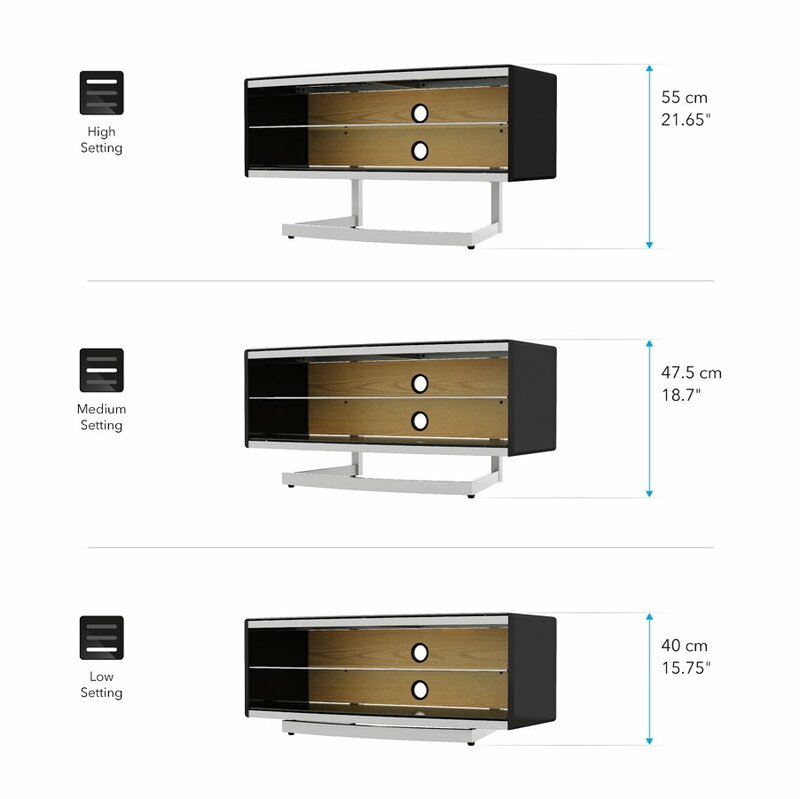 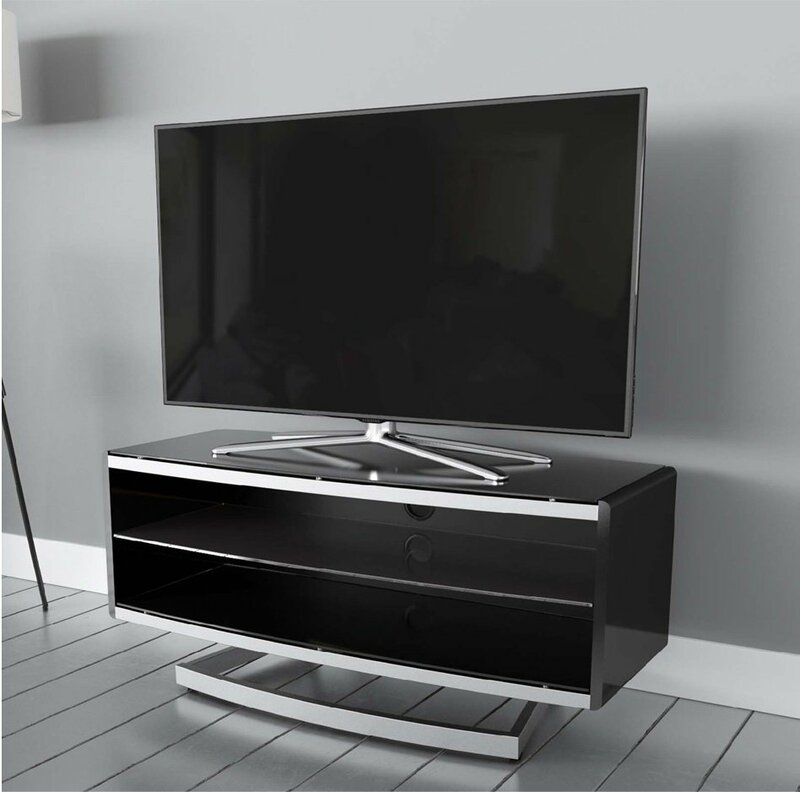 The open fronted Portal TV Stand has a choice of four full width back panels (Oak, Walnut, Black and White included), spacious media storage and a unique height adjustable base, giving further flexibility and enabling you to achieve your perfect TV viewing height. 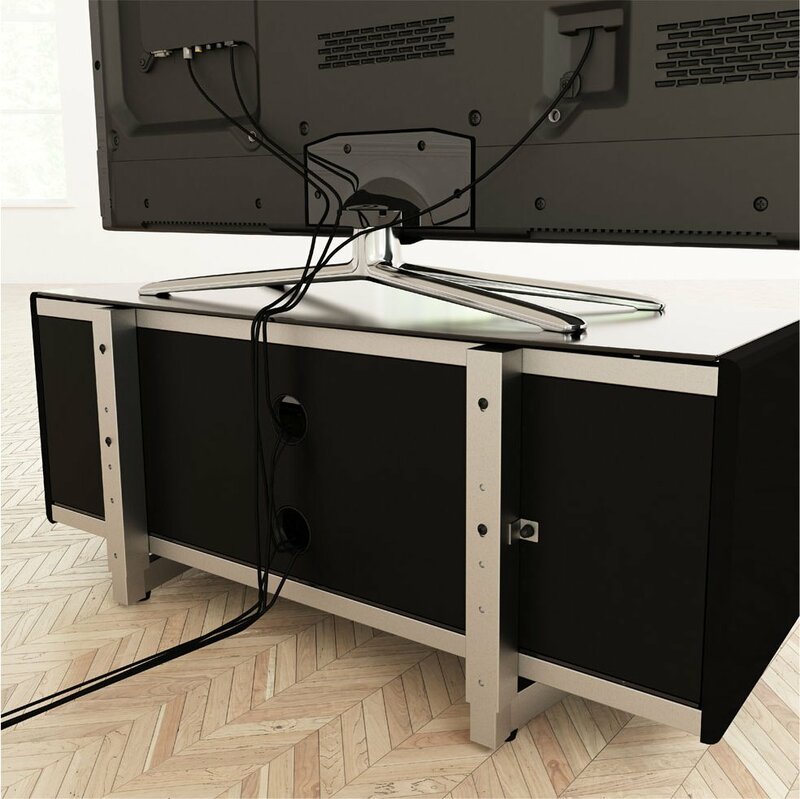 Wiring can be channeled through the cable management apertures and behind the back panel for a tidy finish, while the micro adjustable feet can be used to counteract uneven floors. 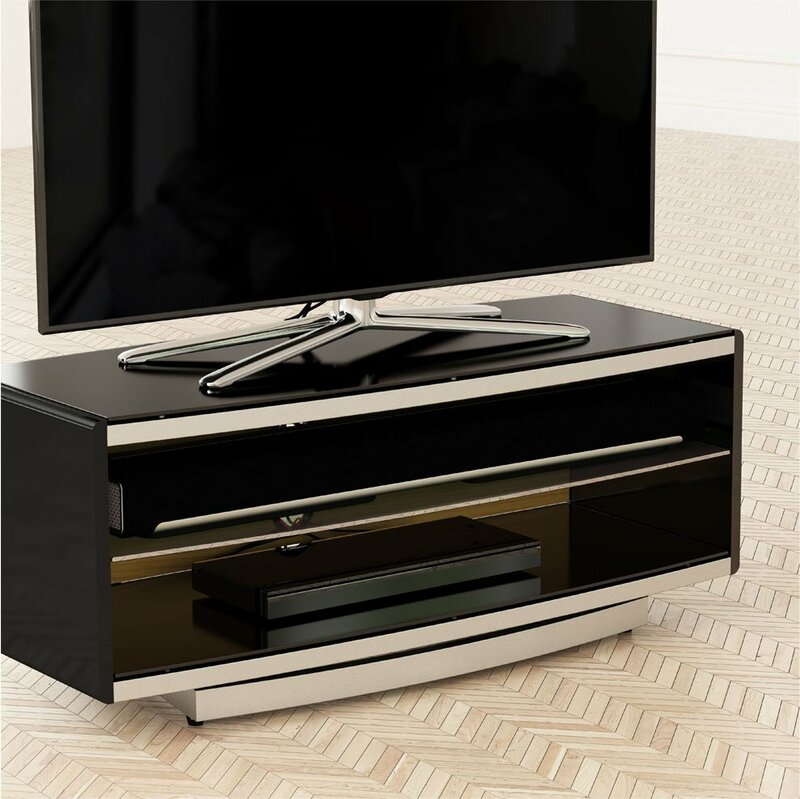 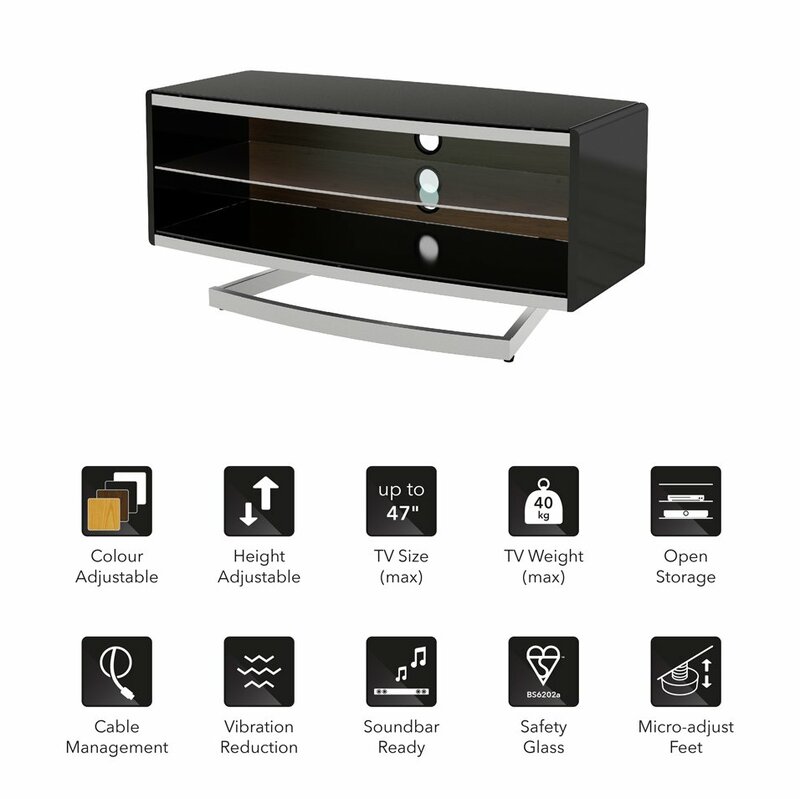 AV devices, Speakers or Sound Bars can be positioned internally. 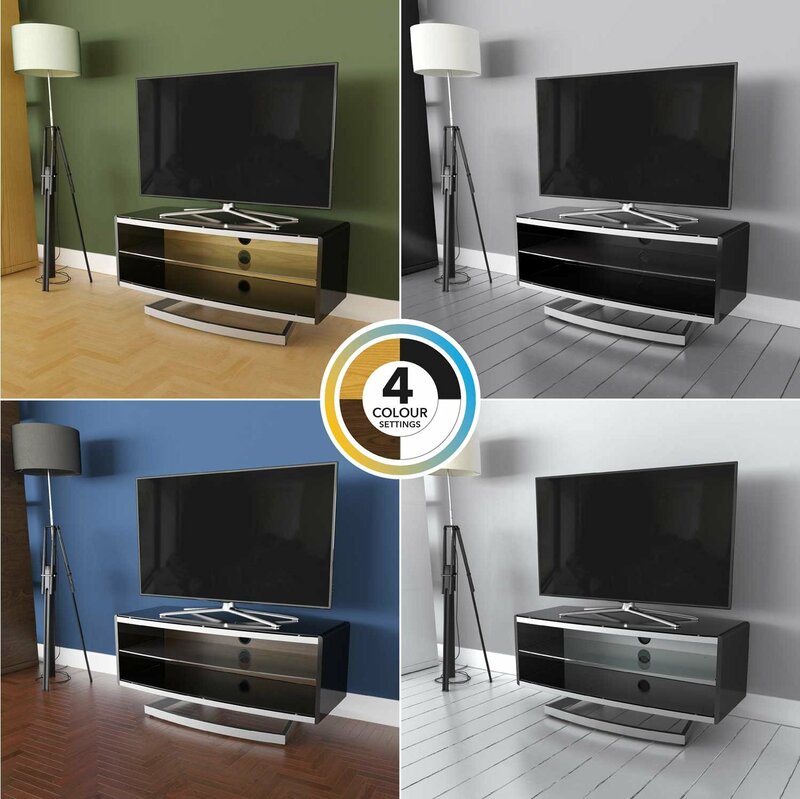 Manage and hides cables behind coloured back panels.